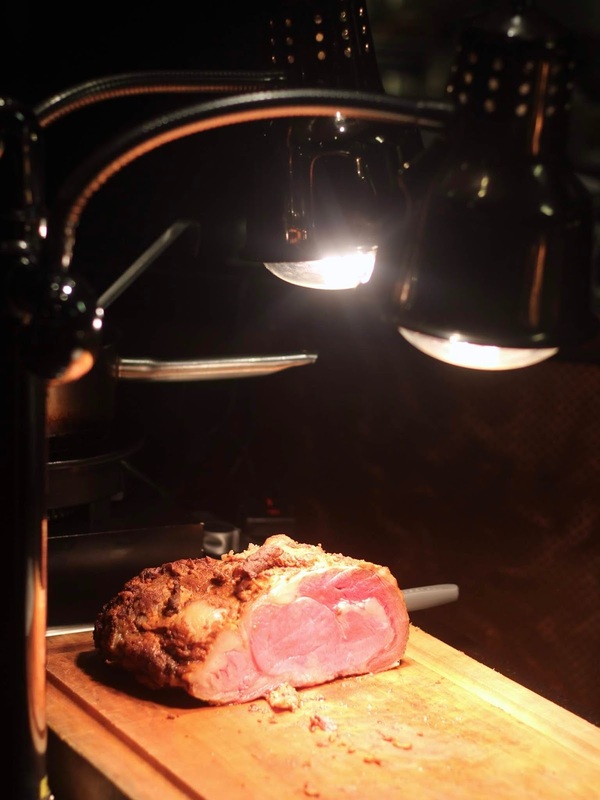 Cru Steakhouse’s Unlimited Cru Steaks Sundays started early in February this year (although I think they already offered this before). 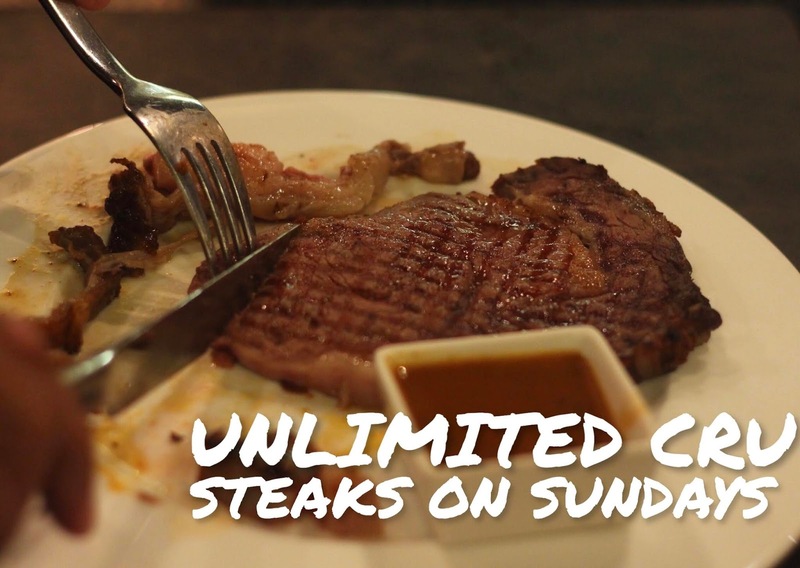 The promo is not just unlimited steaks, but a 3-course menu specifically available only during lunch. 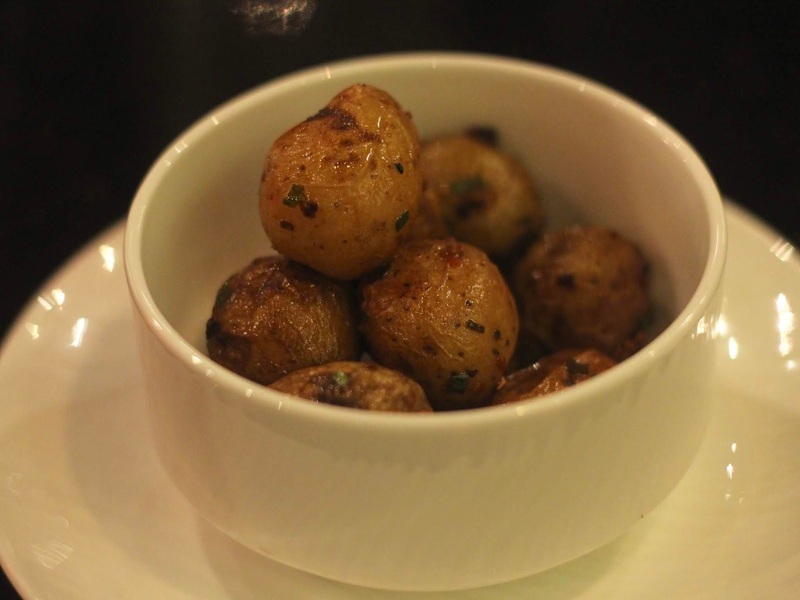 The Sunday Roast Menu includes a starter, with a choice of creamy mushroom soup or garden salad; a main course, which is the unlimited serving of US certified Angus roasted beef, plus a single serving of sauteed root vegetables, and herb roasted baby potatoes; and a dessert, which is the classic apple pie. 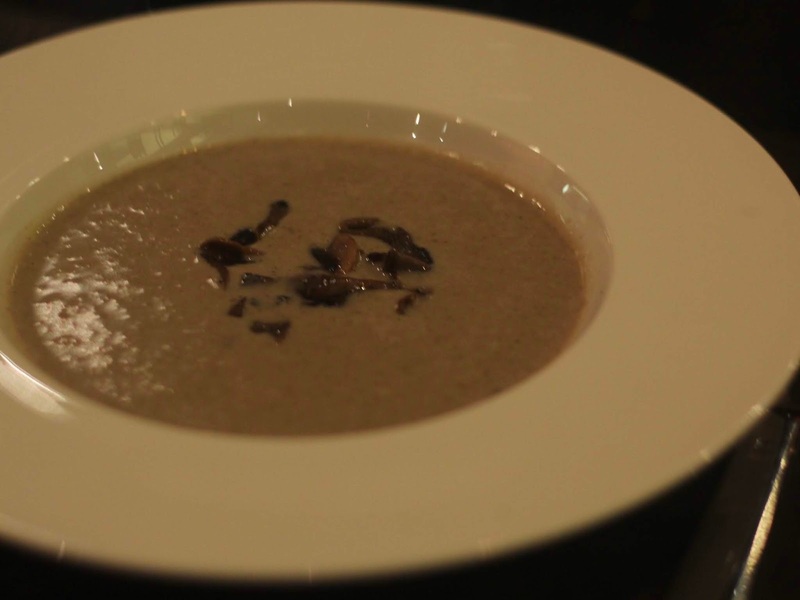 The soup is made of creamy mushroom velouté with mushroom ragout and truffle oil. It’s a very smooth and thick soup with the heavy taste of mushroom but a subtle, sort of lingering on the palate amount of truffle oil. It’s a perfect way to warm you up and prepare you for the battle ahead. 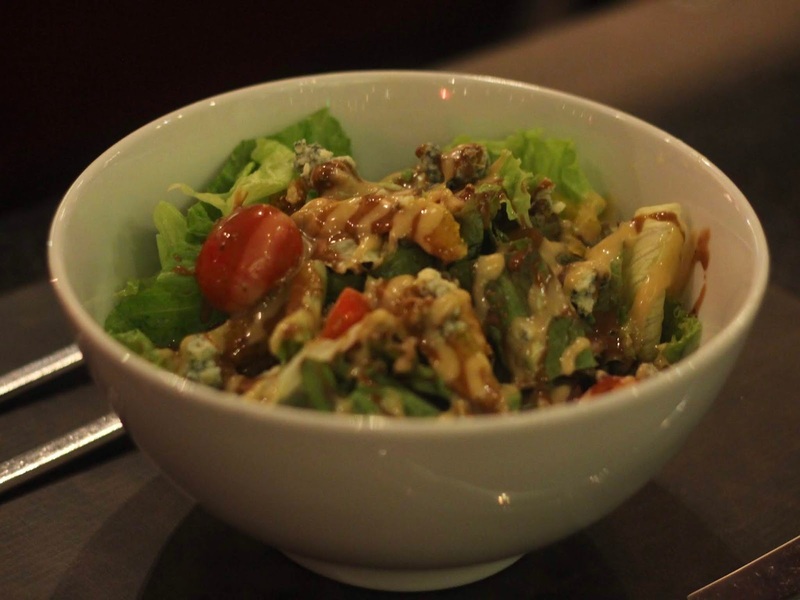 The garden salad might be the starter that’s easy to ignore, but please don’t. It has a mixture of greens, orange segment, cherry tomato, blue cheese, and balsamic dressing. Their salad tasted so much better from what I had imagined. I loved the distinct flavor of the blue cheese combined with the tang and bitterness of the dressing. I had my steak done medium (as always), while my partner loved his done medium rare. The first batch of the huge slice steak was prepared and served perfectly. However, the next one I had was more well done than the medium that I requested, which was a let down. Nevertheless, I finished the steak (barely) and ended the unlimited part of the meal less satisfied. Honestly, I didn’t mind the veggies that much, and I think you wouldn’t, too. 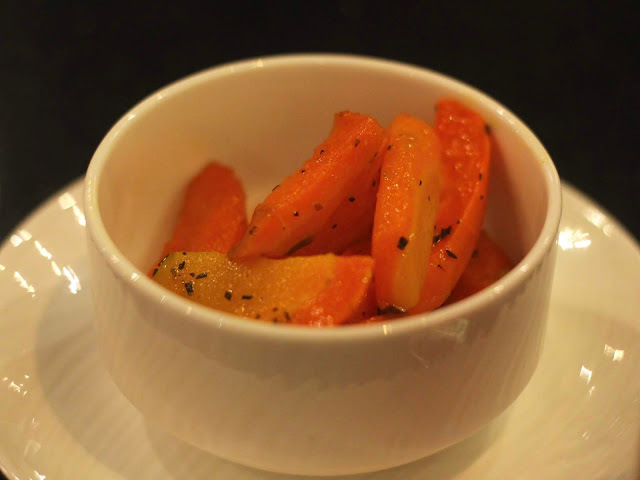 Herbed carrots and baby potatoes are not a big deal to me, but I guess they are good for balancing out all the oiliness and fat, and a palate cleanser when you reach the “umay” stage. Their apple pie isn’t your ordinary apple pie. It had raisins!!! Which I normally skip when I have the option, but I ate them in this case and it wasn’t so bad. I actually loved the apple pie (despite the raisins). 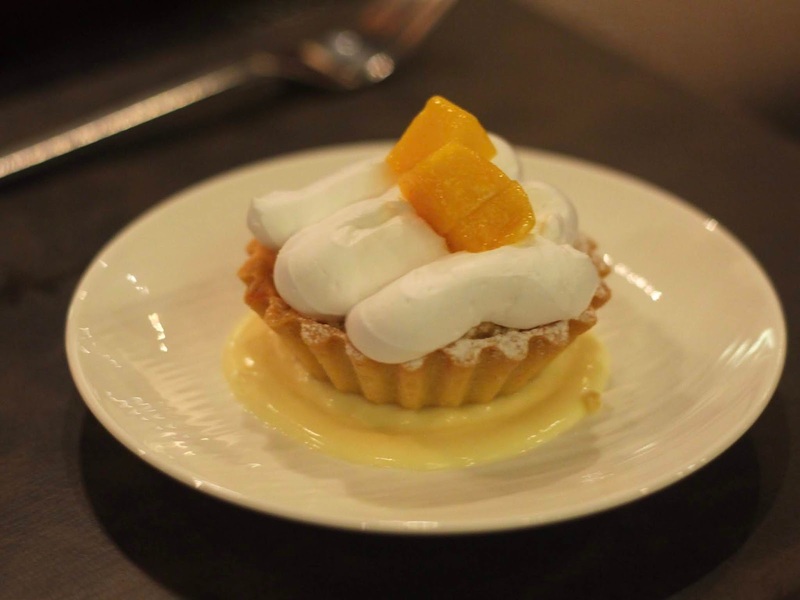 The cinnamon, powdered sugar, almond crumble, and even the whipped cream and mangoes on top were a delight to have altogether. 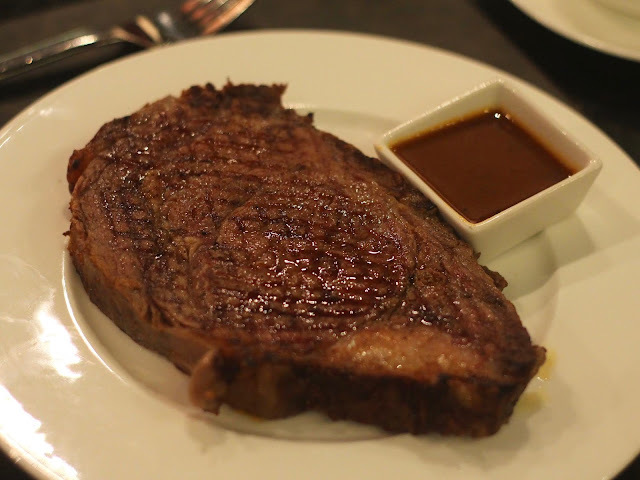 If there is something that could’ve made the whole dining experience better (even with the wrong doneness of the steak), it would’ve been the service. 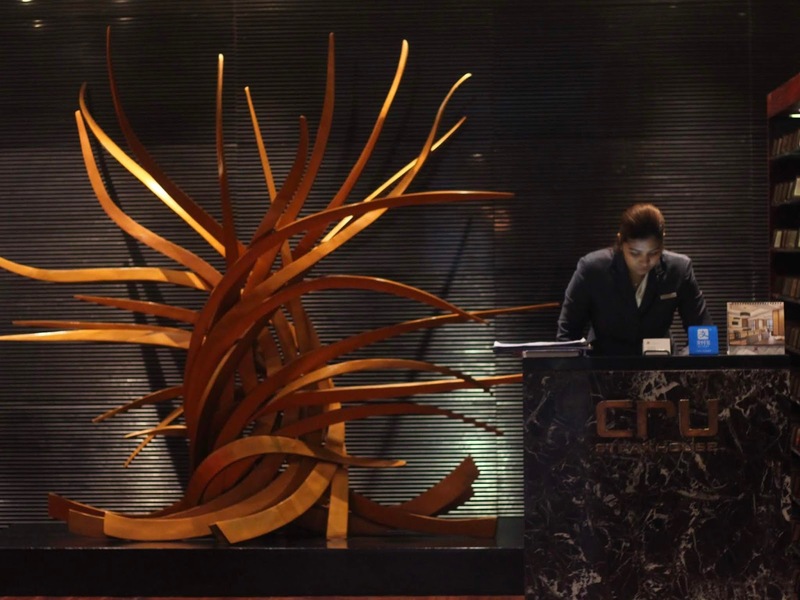 The servers of Cru Steakhouse need to be friendlier and more welcoming to customers, because I didn’t quite feel this during my visit. We ended our lunch with a score of 2-3: 2 plates for me and 3 plates for my boyfriend. Was it worth it? Well, my boyfriend was very happy about the experience, while I need a little more convincing before giving it a thumbs up.